Killarney School of Music is excited to announce the launch of our new Advanced Tin Whistle Course. This is a unique program, encompassing a full practical, theoretical and cultural experience of Tin Whistle playing. The course was designed and is delivered by maker of the renowned Killarney Whistle, Padraig Buckley. 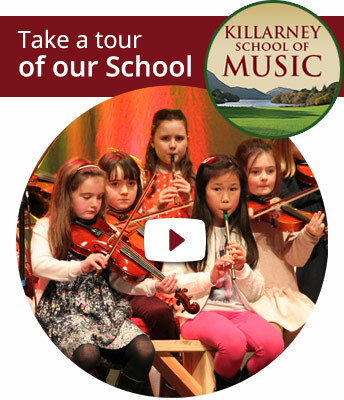 Padraig is co-founder of the Killarney School of Music and has over thirty years’ experience as a music teacher. While Padraig’s first love is the Tin Whistle, he is also an advanced Flute and Uilleann Pipes player. Introduction to these instruments will also form part of the course. The aim of the course is to bring intermediate Tin-Whistle players to an advanced stage. The course will also prepare students to sit the exam leading to a Performance Diploma in Traditional Irish Music awarded by the London College of Music. This is an internationally recognized award. The course will take place in Killarney, Ireland from September 2018 to June 2019. Killarney is an internationally renowned holiday destination. The town is surrounded by thousands of acres of stunning national park, with a breath-taking array of mountains, lakes, rivers, waterfalls, forests etc. The town of Killarney has a population of approx. 20,000 people and is full of life and buzz throughout the entire year. It has a thriving and lively Irish Music scene. Accommodation for registered students may be available with host families, short or long term. This class will also prepare the students for the music exam Diploma in Traditional Irish Music. There will be a theoretical element, but the main focus of this exam is on performance. This is an internationally recognised qualification awarded by the London College of Music. Sitting this exam is optional for students. This involves a weekly hour-long private class with Padraig Buckley. This class will focus on the individual playing of the student and aims to develop the individual’s technique and style. One evening of each week, accompanied by a tutor, the group will travel to a local music session to become immersed in the local culture. Killarney School of Music have a very active Traditional Performance Group. Students will have the opportunity to participate in this group to help understand performance dynamics and music arrangement. Throughout the course, we will have guest speakers and performers, who are expert in a particular aspect of our music culture. This will give our students a broader and deeper insight into the culture. An introduction to Flute and Uilleann Pipes will also be part of the course. Above all, fun will be central to all aspects of the course. Fun plays a very important role in the culture of Irish Music. This will be reflected through all aspects of the course.